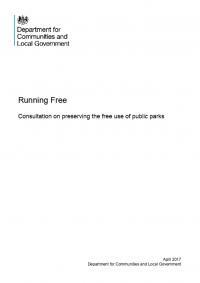 This consultation paper sets out the Government's proposals to legislate to put it beyond doubt that local authorities, including parish councils, cannot charge parkrun or junior parkrun for the use of public parks. 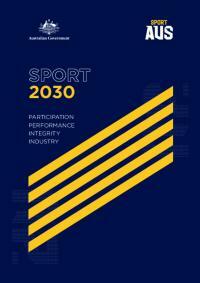 Sport 2030 provides a roadmap for future success for sport in this country. 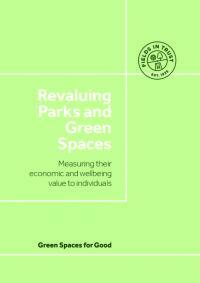 This report provides a robust economic valuation of parks and green spaces in the UK as well as valuing improvements in health and wellbeing associated with their frequent use. 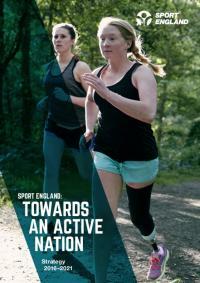 The third Active Lives Adult Survey Report summarising activity levels in England from November 2016 to November 2017. 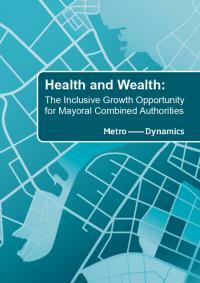 This report seeks to achieve a deeper understanding of the interlinkages between health and wealth and the opportunities that devolution presents to focus on prevention and early intervention across the life course. 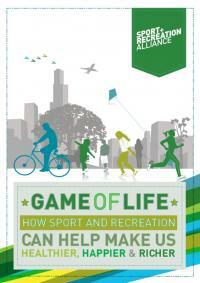 Sport England's latest research reveals that active people are happier and more satisfied with their lives – and are less likely to experience anxiety. 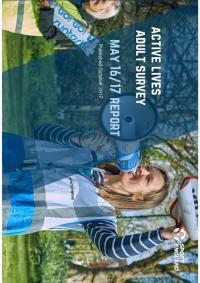 The second Active Lives Adult Report summarising activity levels in England from May 2016 to May 2017. 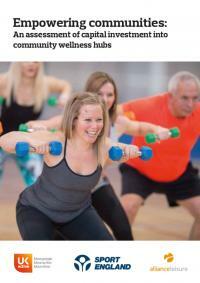 This report discusses ukactive and Sport England's proposal to expand the availability of Community Wellness Hubs as part of their shared mission for an active nation. 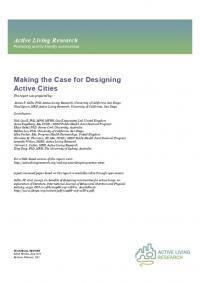 This paper seeks to understand how workplaces most effectively promote physical activity for the benefit of public health. 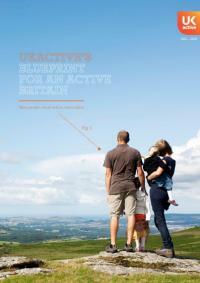 Fitbit has created its own database with its research partner Fitabase made up of 164 published studies which mention using Fitbit wearables. 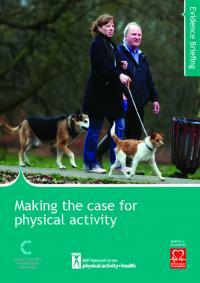 The Fitabase Research Library is designed to be a public one stop-shop resource for published and peer-reviewed studies using Fitbit technology. 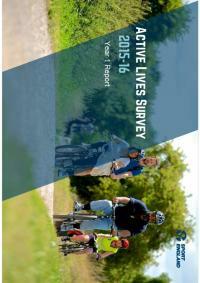 This report presents data from the Active Lives Survey for the period mid-November 2015 to mid-November 2016. 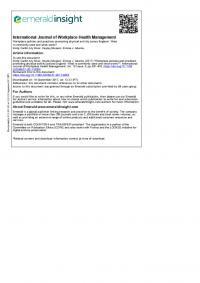 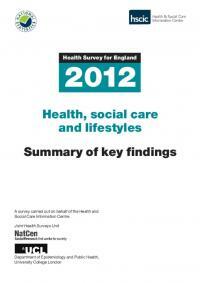 Data are presented for adults aged 16+ in England. 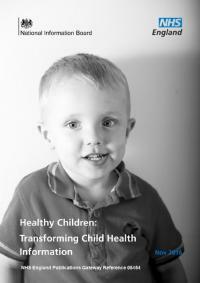 This report sets out an exciting new vision for how child health information can support both parents and professionals in providing the highest quality care for children and young people. 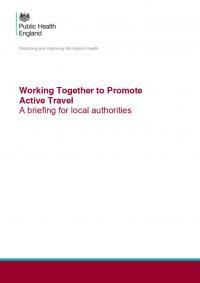 This briefing looks at the impact of current transport systems and sets out the many benefits of increasing physical activity through active travel. 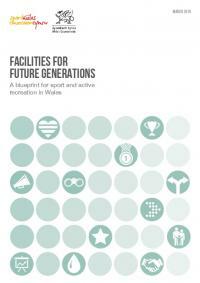 A blueprint for sport and active recreation in Wales. 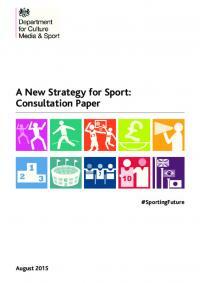 This consultation highlights ten themes that together capture the headline issues that DCMS want to address. 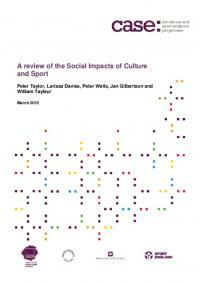 The Culture and Sport Evidence (CASE) programme is a joint programme of strategic research led by the DCMS in collaboration with the Arts Council England ACE, English Heritage and Sport England. 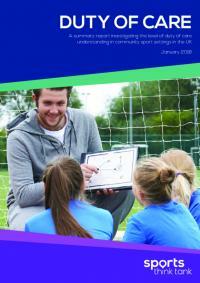 This report explores the All Parliamentary Commission's concerns on the measurement and evaluation of interventions and tests their hypotheses. 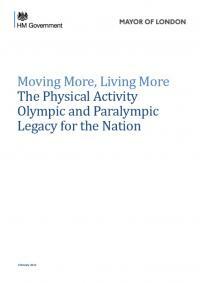 The aim of the physical activity strand of the legacy is to have a much more physically active nation. 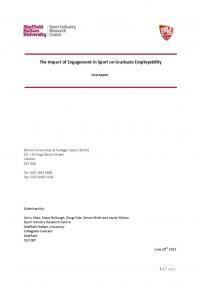 The purpose of this research is to provide evidence of the value of sport on graduate employability. 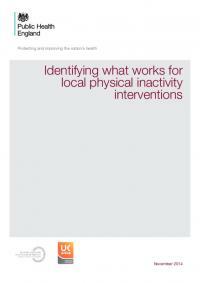 This document provides an overview of the best available evidence on health and wellbeing outcomes that are directly affected by physical activity. 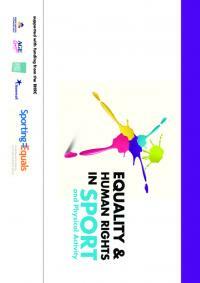 A guide to help those working in sport meet their legal obligations and become better equipped to address equality and human rights issues. 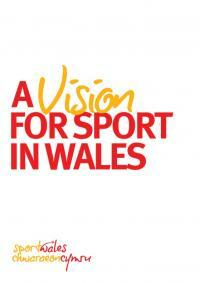 This vision spurs Sport Wales' motivation and commitment to delivering the very best for Welsh sport. 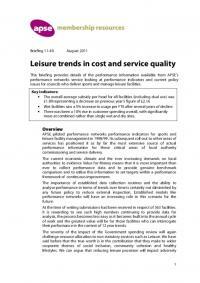 This briefing provides details of the performance information available from APSE's performance networks service looking at performance indicators and current policy issues for councils who deliver sports and manage leisure facilities. 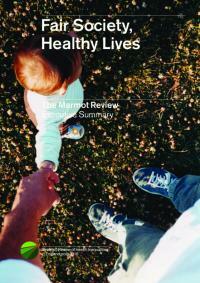 A strategic review of health inequalities in England post-2010. 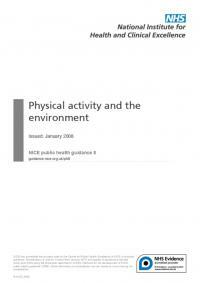 The Department of Health (DH) asked the National Institute for Health and Clinical Excellence (NICE or the Institute) to produce public health guidance on the promotion and creation of physical environments that support increased levels of physical activity.